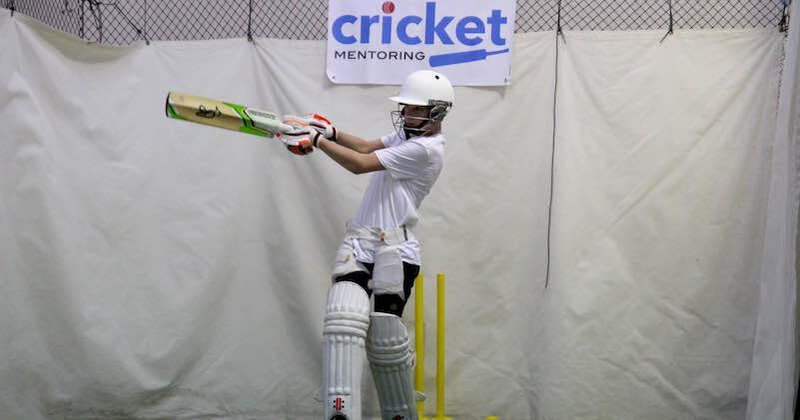 I am often asked how come I started Cricket Mentoring? Well here’s the answer: The program was founded as I wanted to make a difference to young cricketers futures and help them achieve their goals and dreams. As a player transitioning into a mentor/ coach, I realised there isn’t enough emphasis on preparing young cricketers for the mental side of the game. 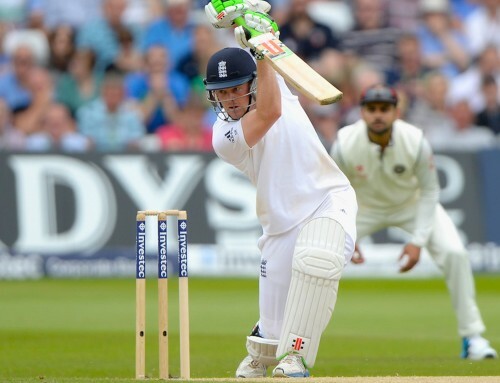 The majority of cricket coaching focuses primarily on the physical aspect of cricket. While performing a skill correctly is the obvious goal of any athlete, often too much emphasis is given to the technical components of the skill and not to the mental aspects of performing it. To me, this doesn’t make sense. When a player (in any sport) reaches a certain level, it is their mental game that will determine how successful they become. So why don’t ‘coaching’ sessions focus more (or at least as much) on training the mental game of a young player as they do on training their technique? I came across a book recently which I believe all young cricketers and other sportspeople would really benefit from reading. I wish I had read it when I was 14 or 15 years old! The Inner Game of Tennis was written in 1974 by professional tennis player Tim Gallwey who was also a student at Harvard University. Whilst the book has a focus on tennis, the subtitle ‘The ultimate guide to the mental side of peak performance’ is an indication that the ideas contained in the book can be used in all sports. The book provides, I believe, an excellent model of effective mental training. The ideas and principles are exactly what I believe young cricketers should aim to achieve. It has also changed the way I approach my coaching – more on that another time. Gallwey discusses the idea that we have 2 selves. Self 1 is the thinker and talker and self 2 is the listener and doer. So Self 1 is your thoughts and emotions and Self 2 is your body and instincts. He teaches that your thinking self often interferes with your doing self, which often stops the player from reaching their full potential. Self 1 is the voice inside your head that tells your body what to do and judges every execution of a skill as good or bad. “Ah, I didn’t hit that one very well. I need to bend my knee more.” Or “That was rubbish. Get your front arm up, stop falling away.” These are extremely common thoughts and judgements that cricketers have. They are inevitable. But Gallwey believes that the key to performing to your full potential is to quieten those thoughts and trust self 2 (your instincts and body). Our body makes decisions and moves without us even thinking. When in the right mindset it can perform things we didn’t know we were capable of doing. When facing a fast bowler, you don’t have time to think about how to play a shot. You just react. If you’ve practiced enough, your body moves into position and hits the ball before you’ve had a chance to think about each and every component that makes up the execution of that skill. The key to achieving this is to not overthink each shot or delivery. It is also about executing your skill without judging it as good or bad. When your mind is cluttered and constantly ‘thinking’ and judging yourself on every aspect of a skill (in the case of cricket – hands, head, feet, position on the crease etc) it doesn’t allow your body to execute the skill as well as it can. “People become doubtful & tight when they are judgemental.” (Gallwey) Yet in training and often games, players are almost always thinking and judging their performance. If you’re always thinking about every shot or delivery it becomes very hard to just let your body take over and flow. When world-class cricketers perform well they often mention that they were ‘in the zone’ or everything felt relatively effortless. When asked what they were thinking about their answer is regularly: ‘I’m not sure’ or ‘nothing in particular’. This is a perfect example where the inner self is trusted which allows the player to play with freedom and without self-judgement. On a different level, last week I was coaching a talented young batter. He has only been playing cricket for a little over a year but has a lot of potential. While he usually goes well enough in his sessions, last week he was outstanding. He took his batting to a completely new level. He played strokes he had never played before, made far less mistakes than he normally makes and hit the ball harder than he had ever hit it before. When I asked him at the end of the session what he had done differently on that day he thought about it for a minute then said “I didn’t really think too much about each shot. I just tried to see the ball and hit it.” This is a brilliant example of a young player who stopped ‘thinking’ too much and judging every shot he played and instead trusted his instincts. This allowed his body (and subconscious) to take over and the results were amazing. Give it a go! It’s not easy but try and trust your body! It’s amazing what it can do when it isn’t being slowed down by the thinking mind. For more information on Gallwey’s method visit The Inner Game and listen to Tim discuss his ideas and principles of coaching in the video below. If you enjoy our writing then Subscribe to get our thoughts and ideas straight to your inbox.